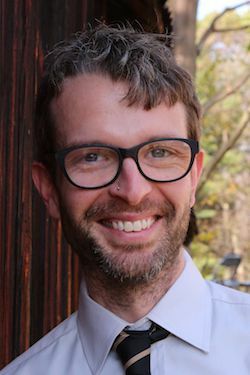 James Crews' work has appeared in Ploughshares, Crab Orchard Review, and The New Republic, as well as on Ted Kooser's American Life in Poetry newspaper column, and he is a regular contributor to The London Times Literary Supplement. He holds an MFA in Creative Writing from the University of Wisconsin-Madison and a PhD in Writing from the University of Nebraska-Lincoln. The author of two collections of poetry, The Book of What Stays (Prairie Schooner Prize and Foreword Book of the Year Citation, 2011) and Telling My Father (Cowles Prize, 2017), Crews is also co-editor of several anthologies of poetry, including Healing the Divide: Poems of Kinship and Connection. He leads Mindfulness & Writing workshops and retreats throughout the country and works as a writing coach with groups and individuals. He lives with his husband in Shaftsbury, Vermont. 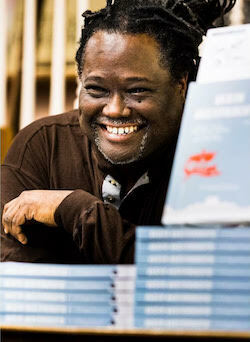 A. Rafael Johnson was named a Kimbilio Fellow in African American Fiction in 2014. His story, "The Boy Who Climbed His Mother Into Heaven," was nominated for a Pushcart Prize. 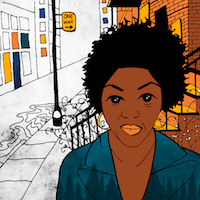 His essay, "Wince: George and Trayvon," was also nominated for a Pushcart Prize. His debut novel The Through (Jaded Ibis Press, 2017) was a finalist for the Minnesota Book Award. Currently, Johnson balances teaching at the Minneapolis College of Art and Design, The Loft Literary Center, and the Augsburg Low-Residency MFA program, as well as editing for the revival of Big Fiction. He is working on his second novel. 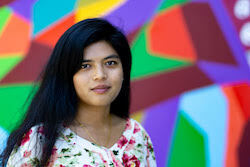 Thirii Myo Kyaw Myint is the author of the lyric novel The End of Peril, the End of Enmity, the End of Strife, a Haven (Noemi Press, 2018) and the forthcoming family history project Zat Lun, which won the 2018 Graywolf Press Nonfiction Prize. She received an MFA in prose from the University of Notre Dame, a Fulbright grant to Spain, and fellowships and residencies from Tin House, Hedgebrook, and Millay Colony. She currently lives in Colorado, where she is completing a Ph.D. in creative writing at the University of Denver, editing the Denver Quarterly, and teaching hybrid/experimental forms at Lighthouse Writers Workshop.